We often hear clients and family members complain, with a sense of foreboding, that Probate will be necessary once a loved one or family member dies. Under most circumstances, however, the New York Probate process can be relatively simple. Essentially, the Probate process is the court proceeding that authenticates the decedent’s Last Will and Testament as the final and distributing document expressing the last wishes of the decedent. Among the requirements in a Probate proceeding is that all persons who could have an interest in the estate receive the appropriate process or notice. In the Surrogate’s practice the jurisdictional document is called the citation, analogous to a summons in a civil action. The petition is like a complaint in a civil action and the decree of the Surrogate is like the judgment in a civil action. 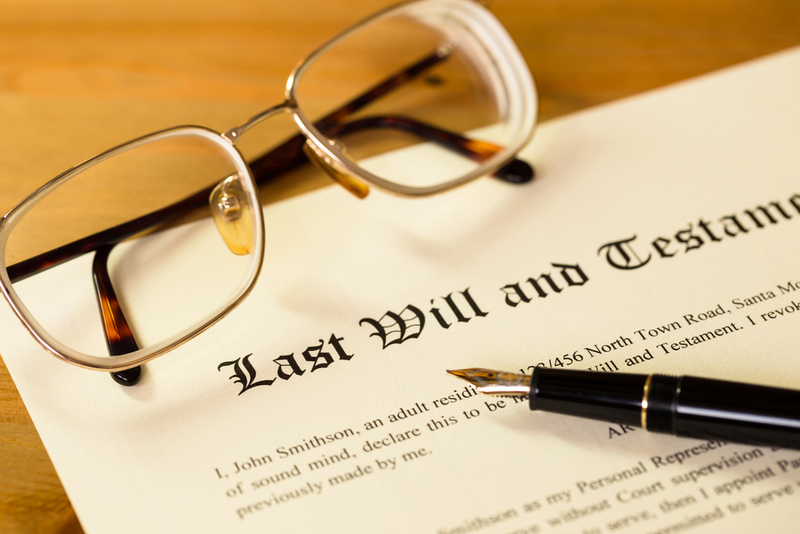 The petition is usually filed by the executor or the executor’s attorney, asking the court to issue a decree finding that the document submitted is, in fact and in law, the Last Will and Testament of the decedent. A Citation or a Notice has to be given to family members (“distributees”), creditors, the nominated executor(s) and to those named in prior wills that had been filed in the Surrogate’s Court. The decedent’s “distributees” are those persons described by law who would take the decedent’s property if there were no will. Distributees have to be served with a citation. Others who may be interested in the estate, successor executors, etc. simply receive a notice of the probate proceeding. The distinction is that the citation is jurisdictional; the Surrogate’s Court cannot act unless it has jurisdiction over all distributees, that is, all distributees have been served with the citation. This is generally where the probate process can become complicated. If members of the decedent’s family are missing, or unknown, the petitioner will have to take substantial steps to determine their whereabouts so that they can be served with a citation. Often these steps will be done by a genealogist or other expert in tracing people. In the event that the distributees cannot be found, then the court will require publication of the citation in a local newspaper. In most cases, however, family members and distributees are known or can be easily found and served with the citation. If no distributee objects to the probate of the will then, usually in a matter of weeks, the Surrogate will issue a decision and a decree admitting the Will to probate and designating the nominated executor as the executor of the estate. That designation as executor, set forth in a document called Letters Testamentary, gives the executor the authority, and duty, to marshal the assets of the decedent, pay the funeral and administration expenses, pay the decedent’s debts and taxes and distribute the balance of the decedent’s estate as provided in the will. Where an estate is of sufficient size to be taxable, in either the state or federal jurisdiction, estate tax returns will have to be filed and complete distribution may be delayed pending filing and a determination as to the taxes that may be due. This entry was posted in Probate and Estate Administration and tagged Last Will and Testament, Letters Testamentary, Probate. Bookmark the permalink.